Just like buying a new car, you are excited at the possibilities and rewards that you will get with ownership. Unfortunately, just like a new car, someday you’ll have to shell out for maintenance and upkeep – that’s the part that isn’t so much fun. Try these ideas and you’ll find it much easier. Start your maintenance fund now. Be sure to aside enough money to cover the replacement of a new roof. It may be a while before that happens, but you’ll certainly need that money for other expenses. This will prepare you for the financial shock of a major appliance going bad or trees that need to be removed. Set a time each month for inspection of your rental property. Thoroughly inspect the inside and outside and take notes of damage that the tenant might be responsible for. Remember that anything you do to improve the property will help the resale value later, so don’t put off repairs. They’ll get more expensive later on, and you might avert a major catastrophe. Your repairs are tax deductible, so keep good records. Major expenses can be depreciated over several years. You could use a yellow legal pad, or better yet a spreadsheet, but even more important, get a software program that can log your work orders, expenses, and then export to your accountant at the end of the year. Your relationship with your tenant is very important in maintaining your property. Many tenants are willing to do work to keep their home looking nice, so work with them on providing materials in exchange for repairs. Lastly, don’t think you can do it all by yourself. Use an expert to evaluate the property, looking for slab cracks, termites, bad wiring and other potentially disastrous problems. If you are handy with tools, take advantage of free DIY clinics at Home Depot and Lowes so you can learn to replace doorframes, install a new toilet and replace the vinyl in the kitchen. Here’s to hoping you have a maintenance free investment property, but that is probably a pipe dream. However, if you do your homework and prepare yourself, you’ll save money and have a sense of pride and accomplishment in your rental property. Paul Toller is a writer, real estate consultant and investor. He has been in the property management software business for over 25 years, and is a partner in the Tenant File (http://www.TenantFile.com). From Pennsylvania and Delaware, to Washington, DC and Maryland, residential electricity account holders are making the switch to lower cost electricity and saving sometimes thousands of dollars over the current supply cost of the local utility. The process is easy with Electric Advisors from start to finish, in most cases all you need in your hand is a copy of your electric bill, unless you are the rare individual who remembers the account number! Click to see the current residential rates. From one of our clients in Annapolis, MD “my cost dropped 20%, why didn’t I do this sooner!” to West Chester, PA “Like you said, I grabbed my bill and I was done with the process in less than three minutes” to a beach rental on the Delaware coast “This makes profitability on my rentals a bit easier to obtain”. So if you live in Harrisburg, Philadelphia, Wilmington, Bethany, Friendship Heights, Columbia, Ocean City, Adams Morgan, Bethesda, or anywhere in between, start saving today and tell a friend how easy it was to put money back in your pocket. First to define broadly a commercial account. Simply it is any rate payer whose Pepco DC invoice does not have an “R” or residential designation. From houses of worship, restaurants, multi-family buildings, warehouses, retail stores, office buildings, gas stations, hotels, and many more categories. It doesn’t matter if the meter is in Anacostia, Georgetown, Adams Morgan, Chevy Chase, or Columbia Heights, if there isn’t the “residential” category, the meter is considered commercial. As with residential electricity choice in DC, commercial rate payers have contracted “shopped” with alternative electricity suppliers at a significantly lower rate than their Maryland counterparts. The POR (Purchase of Receivables) option that is not available in DC but is available in Maryland plays a part in this lower shopping rate. Again the DC Public Service Commission has great information available for commercial rate payers to learn about the process of choosing a third party supplier on their website and probably in their office, but getting someone on the phone can be a challenge. Just like every the majority of expenses a business incurs, electricity costs can be controlled to some degree. Understanding your options regarding electricity supply rates available through energy brokers like Electric Advisors would allow you to free up cash assets that could be used for energy efficiency improvements, marketing dollars, debt reduction, and the list goes on. Next posting will talk about renewable energy options available to the DC business community. Most would be surprised to know that buying renewable “green” in some cases can actually lower your rate as compared to Pepco DC’s supply rate. Elders and the Strange Gravitational Effect of Final Mystery. Please follow the link above and read! What a great post! I wish I could express myself so well. We are Certified Aging in Place Specialist and would love to help you or your parents too. “Aging in Place” adjustments include both small and large modifications to your home. Small alterations include installing lighting in your closets or a pull-out spray faucet in your kitchen. Larger projects include installing lowered windows or non-slip flooring in various parts of your home. Although the costs used in the Remodeling Cost vs. Value Report are based on itemized estimates (see “Methodology”), the projects are imaginary. When comparing the data in this report to actual remodeling costs in a particular geographic area, small differences in the size or scope of a project, or in the quality of finishes and accessories the homeowner chooses, can dramatically affect the price. Although the distinction the Report makes between “midrange” and “upscale” projects provides a range of pricing, it cannot account for extreme variations in pricing that many markets have experienced in recent years. Some of this variation is due to the effects of the deep recession and the continued slow recovery. High unemployment among construction workers has glutted the market and available labor far outstrips demand. Material costs, on the other hand, have not retreated and in some cases have dramatically increased. The result is a volatile business climate exhibiting unpredictable pricing within markets and between one market and another. Another factor to keep in mind when comparing costs in the Cost vs. Value Report to local costs for specific projects is that homeowners continue to scale back their remodeling plans, choosing either to reduce square footage below that specified here, or to perform the work in phases to spread the cost over time. Also, homeowners continue to be conservative when choosing fixtures and finishes. They continue to trade the savings on lower-priced items for the ability to afford higher-priced items they deem more essential or more desirable. The “value” of a project at resale is always subject to forces that are difficult to predict. Changing how a space is used may meet the immediate needs of the current homeowner but may be at odds with what prospective buyers are looking for. Converting a small bedroom into a grand master bath, for example, may be perceived as the loss of a bedroom rather than the gain of a bathroom. Similarly, adding square footage may solve immediate space needs, but it also adds to maintenance costs and it increases heating and cooling bills, something that may not be welcomed in this era of heightened energy awareness. How the value of a remodeling project is perceived also depends on a variety of factors that traditionally affect home values, including the condition of the rest of the house, the value of similar homes nearby, and the rate at which property values in the surrounding area are fluctuating. Comparable values are still difficult to judge due to the persistent presence of foreclosed properties and short sales. Until potential buyers are convinced that housing prices have hit bottom, they will not experience any sense of urgency, further contributing to the downward pressure on house prices. The Cost vs. Value Report provides an accurate snapshot of the national housing market but it cannot be applied accurately to an individual remodeling project for a particular address. 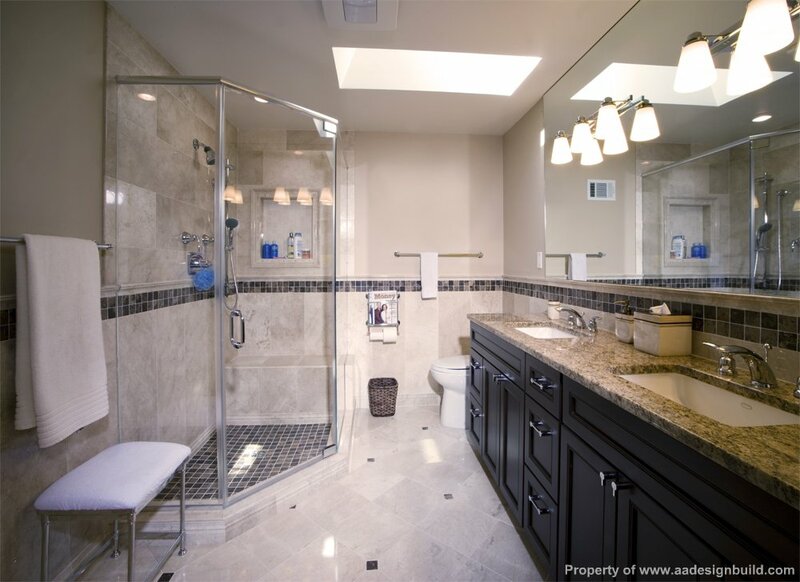 Resale value is one factor among many that a homeowner must take into account when making the decision to remodel. At the local level, the best course of action is to obtain construction cost estimates from reputable local remodelers and to talk with an experienced Realtor about home prices in the neighborhood. A number of cities in this year’s Report show cost recouped averages that are above 100% for some remodeling projects. This indicates that, on average, those projects are worth more in resale value than the owner spent to construct them. This may seem impossible, particularly to homeowners in areas where property values are stalled or still dropping, and it certainly is the exception to the rule. When it does occur, however, it is usually tied to a particularly hot real estate market or to specific projects that are either in high demand from buyers or make a big difference in how buyers perceive a property. If a remodeling project helps a house to meet buyers’ expectations — adding a deck to the only house in the neighborhood without one, for example, or adding a second bathroom in an area where every other home already has two — the homeowner can expect a good return either in the form of a higher selling price or a quick sale or both (assuming everything else about the house is up to standard). Projects that have been losing resale value in recent years are typically victims of the economic slump, as has been the case with many higher-cost, “upscale” projects. A low ranking may also reflect lack of demand, but this can be misleading at the local level. A backup generator, which historically is near the bottom of the rankings in resale value, may have much more appeal — and higher value to a buyer — in areas where damaging storms are common, or where the local power utility is prone to service interruptions. Similarly, a particular type of project, such as a home office remodel, may appeal to buyers who intend to telecommute or run a home-based business but will have little value to other buyers who would prefer to have an extra bedroom or an exercise room. We are proud to be #1 Top Rated General Contractors in Greenbelt. Check the link below! !